How to Care for Roses. Roses have an undeserved reputation for being fussy, hard-to-care-for plants. But after all, they're just shrubs. Some roses do require more maintenance than others, but growing roses is something even a beginner can do. Prune roses in early spring once the rose starts to show signs of new growth, usually in the form of tiny red buds swelling. These buds will become new branches. Cut out any obviously dead or damaged branches first. Then cut out all but four or five healthy stems, each ideally about as thick as a pencil. Cut the rose bush back by 1/3 to 1/2, depending on how tall you want it to be. Make these cuts right above an outward facing bud - that is, a red bud that's on the outside of the rose bush. This directs the bud to grow up and out, leaving the center of the rose bush open for a prettier shape and better air circulation. 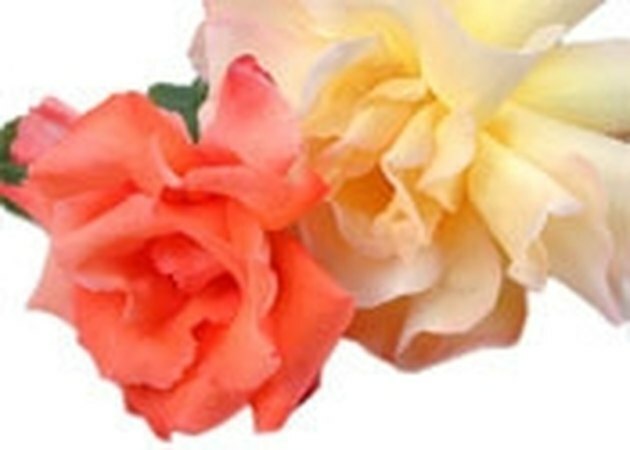 Fertilize roses regularly during the growing season. Roses are hungry plants, demanding lots of nutrients for best growth and flowering. Each rose grower has his or her own favorite method. One of the easiest is to buy a slow-release granular rose food and work it into the soil so it can feed the plant all season long. Otherwise, you'll want to fertilize the rose with a liquid fertilizer every three to four weeks during the growing season (stop in early autumn) or according to package directions. Water diligently. Roses need a steady source of water during the growing season, about 1 inch a week from rain or watering. In arid regions of the country, if you have several roses, consider installing a do-it-yourself drip irrigation system. Mulch. Roses need less weeding and watering and have fewer diseases if you mulch. Lay down 1 to 2 inches of organic mulch, such as wood chips, pine needles, grass clippings or other biodegradable material. Deadhead. This simply means trimming spent roses off the shrub to encourage it to produce more. While some roses bloom only in one big flush in June, others are bred to keep producing off and on all season long. Spray. If your rose becomes diseased or has an insect infestation, you may want to deal with it by spraying. (However, first try simply trimming off the diseased portion of the plant and giving the plant a good strong blast from a hose.) 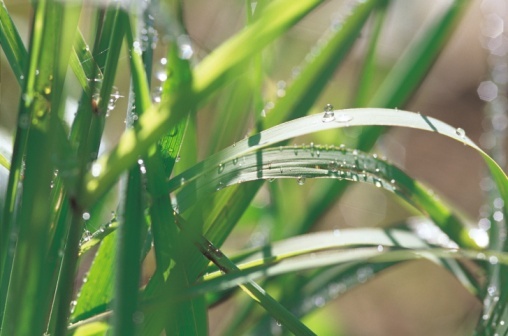 If you choose to spray, first identify the problem by trimming off the diseased part and taking it to a reliable garden center, where the staff can prescribe the correct pesticide or herbicide. 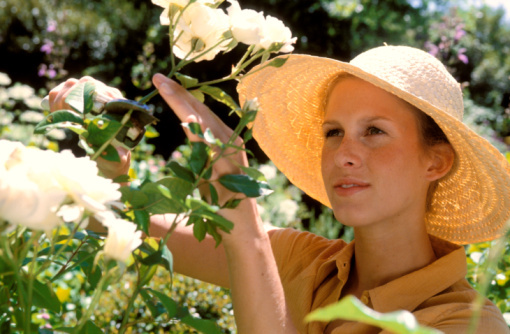 Stop fertilizing roses in early autumn, at least one month before your region's first annual frost date. Fertilizing too long into autumn encourages roses to produce tender new growth that will get nipped by cold. Protect roses as needed in late autumn, after your region's first hard freeze. In regions where temperatures don't fall below 20 degrees F (USDA zone 9 and warmer), no additional winter protection is needed. In cooler regions where temperatures don't fall below 10 degrees below zero (zones 6 to 8), a simple mounding of several inches of soil over the base of the rose should suffice. In cold-winter regions where temperatures get colder than 10 degrees below zero (zone 5 and colder), mound to about a foot about a month after your region's last average frost date; additionally, two weeks later, the entire plant should be wrapped in burlap to protect the upper parts.